Temper tantrums can be brutal. They evoke a variety of feelings including anger, sadness, rage, and sometimes hopelessness. These emotions can be experienced by the tantruming child, his/her caregivers, and even those observing the situation. Some caregivers experience their children’s tantrums on a regular basis. For others, tantrums are fewer and further between. These differences can be accounted for by children’s individual temperament, development of their coping skills, and patterns of caregivers’ responses. It is expected that as children develop their social-emotional skills through preschool and early elementary school years, temper tantrums occur less and less often and with decreased intensity. If you have concerns that your child’s tantrums are getting in the way of healthy development, contacting a pediatric mental health professional is certainly recommended. Read on for 10 tips to help tame your child’s tantrums. means of communication. Think to yourself, what is my child “telling” me. A tantrum indicates that a child feels unable to manage his current situation. Perhaps he’s unable to express to you how he’s feeling. Perhaps he is so upset about X that he doesn’t know what to do with himself! Or maybe he thinks that if he screams enough you’ll eventually give in. Remember that a tantruming child is NOT enjoying himself. He is in more distress than he can currently tolerate. Keep your cool. Demonstrate to your child that YOU are able to remain calm in the face of adversity. Be a model for her. Use a calm voice, rather than allowing yourself to sound as frustrated as you’re feeling. Consider how you position yourself. Standing directly above your child can feel intimidating for her. Using a more open stance to the side of the child can help her feel less threatened. Pretend to ignore your child’s behavior. Show him you aren’t impressed by his yelling, etc. Over time, he will understand that he cannot control you by exhibiting this behavior. Utilize your child’s need for power and control in a positive way. Provide opportunities for your child to feel they have some control while ultimately not giving in to his behavior. Adjust immediate expectations. When your child is in the middle of a tantrum, he is not functioning at his full potential. His system is temporarily down. Therefore, tasks that you would expected him to complete independently may require your assistance in the throes of a tantrum. Use consequences for unacceptable behavior, but use them sparingly. I say to use them sparingly because if negative consequences are your go-to strategy they can lose their effect. Be consistent. Talk with your partner, as well as your child’s teachers, babysitters, etc. about how you respond to tantrums. If your child can expect a similar response from his caregivers, it will help decrease tantrums from occurring in the first place. Keep yourself in check. Remember, YOU are the adult. Sure, our children may lose control from time to time but it’s up to you to maintain composure! We often talk about time-outs for children, but sometimes adults need to take a time out too. Recognize when your emotions are getting too overwhelming to handle and take a “break” when necessary. As long as your child is safe, it’s okay to tell him, “Daddy needs to take a break right now”. Remember it isn’t about you. So don’t take it personally. Your child’s tantrum is about her own ability to manage emotions and get her needs met. Consult with others and use your resources. 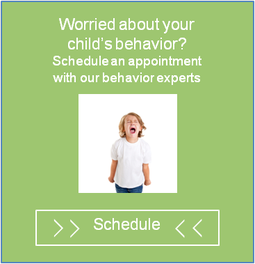 Talk to your doctor, child’s teacher and friends about your child’s behavior. Don’t face the challenges of parenting alone! Do you have other tips or suggestions about managing tantrums? Your feedback is invited below! Click here to read about dealing with tantrums in public. NSPT offers Social Services in Bucktown, Evanston, Highland Park, Lincolnwood (coming soon), Glenview and the Neuropsychology Diagnostic and Testing Center in Des Plaines. If you have questions, or concerns, about your child, we would love to help! Give us a call at (877) 486-4140 and speak to one of our Family Child Advocates today! home, these tantrums may create a completely new level of anxiety. In fact, some parents are so nervous that they will not be able to handle their child during a tantrum that they fear going out in public with their child altogether. They may worry about negative attention from strangers as well as being judged on how well they are parenting. Keep Calm. You need to remain in control. If you begin to become stressed and scream or yell, then the situation will only escalate. For example, calmly discuss with your child about why they cannot have a certain item and move away from that area. Try to redirect the conversation and talk about something else in order to help your child lose focus on what he/she wants. Do not panic and feel that everyone is staring at you. Tantrums are regular behaviors of children and do not usually phase most people; however, more people will begin to stare if your reaction is just as loud as your child’s tantrum. Never See Them Again. Remember that the people you see in the store will most likely not be seen again. You should not worry about what others are thinking as they are not as concerned with the situation as you are imagining and it will easily be forgotten. Most people understand as they have experienced similar situations. They have their own matters to worry about and focus on. Many people, both adults and children, have difficulties dealing with emotions. Parents sometimes struggle with helping their children appropriately express their feelings. Taking the time and energy to teach children how to manage their feelings is extremely important and beneficial for children. There are several advantages that children can gain from being able to control their emotions. Some possible advantages are: paying better attention, being more likely to appropriately interact with others, and being less likely to act on impulse. Below are 8 tips that can help you teach your child how to gain control of their emotions. Talk about emotions/feelings. Make sure your child understands all the different kinds of emotions he can feel. Talk about what kind of behaviors and facial expressions might come from different emotions. In addition, when he is expressing different emotions, talk about why he is feeling this way and exhibiting certain behaviors. Be able to recognize how others feel. Your child also needs to know how to read the feelings/emotions of others. By being able to read the facial expressions and body language of others, your child can recognize how others are feeling and get a better understanding on how to interact with those individuals. This in turn can help him build more meaningful and beneficial relationships. Identify coping strategies. Help your child identify different coping strategies that he can utilize when he needs to gain control. Your child should know that it is possible for people to lose control; however, there should be different coping strategies in place to help them regain control. It is important to make sure that you identify appropriate coping strategies for your child because each child is different and will need different techniques to help them calm down. Some coping strategy suggestions that might be useful to your child are: listening to music, coloring/drawing, going to a quiet area, squeezing a stress ball or stuffed animal, blowing bubbles, drinking a glass of cold water, etc..
Write stories. Once you have distinguished different triggers that can result in your child losing control as well as the proper coping strategies he/she can use to help regain control, sitdown and write a story together. In the story, you want to write out the things that upset your child and the different actions and coping strategies he/she uses to help him/her calm down. Read and discuss these stories on a daily basis, as well as, before a certain situation or activity might take place that usually upsets your child. Catch him in control. When your child maintains control, provide verbal praise. You want to make sure that your child receives the praise and credit he/she deserves for appropriately handling an upsetting situation. Coach him if out of control. If your child does not use his/her coping strategies to help them calm down and regain control, be sure to coach him and provide feedback. Do not start coaching or providing feedback until your child is calm. It will not help anyone if you try to immediately coach and give feedback when your child is upset and not in control. Once calm, your child will be able to think more clearly and will be able to rationalize what could have been a more appropriate way to handle the situation. Practice makes perfect. Use role-play to help your child work through different upsetting situations. By practicing and talking about different upsetting situations that could possibly happen, it can help your child be prepared to deal with future upset. Try to let your child independently provide as much information about what he/she would do in the different situations, before you offer help and guidance. Lead by example. Children learn a lot from others and are very quick to pickup and mimic behaviors, either good or bad, that they have seen exhibited by others. Be a good role model and practice what you preach. We are human and get upset, but you need to try to be aware of your coping strategies and utilize them to maintain control. Many parents don’t realize that setting rules and boundaries for their child is just the beginning of teaching appropriate behavior. Children aren’t born with the ability to understand rules – it’s a learned behavior. Just because rules and boundaries are established does not mean children will be receptive towards following them. More often then not, children manipulate rules set by authority figures, especially parents. Parents often get the brunt of their child’s disobedience because the home is a child’s safeguard – it’s the place that will always love and accept them, and where they tend to take the most liberties with their behavior. So, what do you do when your child has taken control of the household into his own hands? Before this question can be answered, it’s important to understand why your child is acting out. Many parents don’t realize that they actually do have complete control of all situations. Children learn certain responses to certain situations over time, and once responses are learned, it takes only moments before that child will start applying that learned response to all other situations. In this situation, you have just created a whole chain of learned responses for that child. She may not have engaged in that behavior during other situations, but she will now remember to apply this strategy in the future.